Have you ever wanted to know what really happens when teams go on tour? 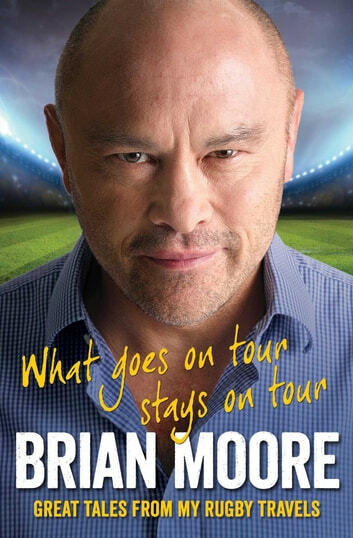 Drawing on his extensive experience of touring, former international and acclaimed pundit Brian Moore tells you all you need ever know, with this in-depth but light-hearted exposé, covering every level of the sport, from junior club rugby right up to the British Lions. With stories of bikini-clad forwards and Moore's own escapades, many of rugby's best-known names of recent years are featured, and no element of life on tour is left untouched. As they go, readers will learn how to survive the worst room-mates in the world, how to cope with the long hours of travel, and how to get the best room in the hotel. They will learn how the professionals do it - or at least used to - and how their would-be amateur counterparts try to do it; both having a blast along the way. Anyone who has ever gone away with a group of mates - male or female, sporting or not - will recognise similar situations and immediately identify with the book. Reading it will bring back their own memorable moments of touring or, if not, make them want to go on their first trip. To help readers get the best out of any tour, Moore provides top tips on how best to organise one, including tour rules, courts, songs and games. Along with the author's Top XV tourists of all time, this book is a definitive insight into touring in all its fun and glory.